We are in the age of speed. We desire high-speed Internet, quick services, and the most important – faster commuting options. The first two things on the list are not life-threatening, but the same cannot be said for the last one. Here speed is not a luxury but a fatal alternative as compared to safe commute. In India, the most common reasons behind road accidents are drunk driving, using a cell phone while driving or walking on the road, not following traffic rules and last but not the least, due to over speeding. In the year 2017, more than 75,000 road accidents occurred in the country within the span of first 7 months i.e. January to July. Various amendments have been made to The Motor Vehicles Act, 1988 in order to improve the on-road safety of commuters. Obtaining documents like learning and driving license have been automated. Emphasis has been put on buying insurance for a vehicle. If a person fails to abide by these rules, he/she has to face heavy fines and/or imprisonment. In order to reduce violations of traffic rules, the officials are now imposing heavy fines on the violators. As compared to the past, violators now have to pay more than double the fine amount for an offense. Some cases like repeated drunk driving can attract strict penalties like confiscation of driving license, fine of Rs. 10000 and 3 years of imprisonment. As said earlier, over speeding is one of the major reasons for road accidents in India. Vehicles colliding with other vehicles or objects proves to be fatal for the driver as well as passengers. To reduce this possibility, police officers have started using speed detection devices in some Indian states. The device accurately measures the speed at which a vehicle is traveling. 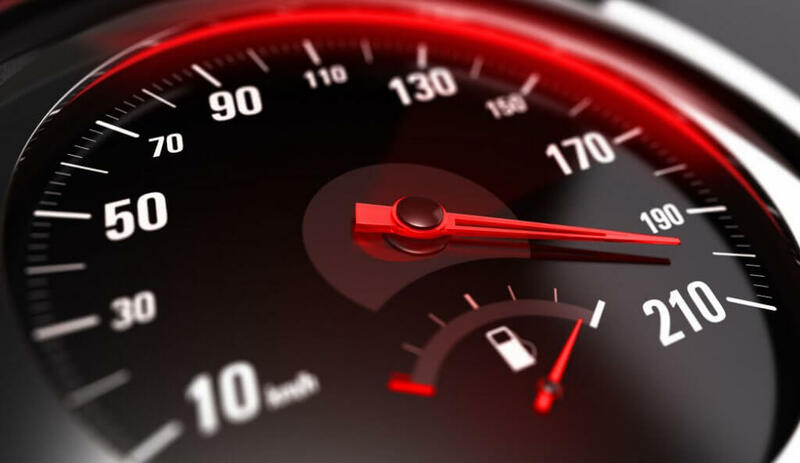 If the speed is over and above the prescribed limit, the driver is booked for over speeding. According to the new traffic rules, one has to pay a fine ranging from Rs. 1000 to 2000 depending on the type of vehicle for over speeding. This is the basic thing a person can do to reduce the chances of a road accident. Wearing seat belts in a car or a helmet while commuting on a bike can prove to be life-saving. Officials have taken to social media to educate people about important safety measures and do’s and don’ts to avoid road accidents. As an impact, many commuters have started taking small steps towards following rules and taking safety measures. Another reason for increasing traffic violations was that the rules and regulations were not imposed in a proper manner. The rules only existed on paper. Due to some corrupt officials, it was difficult to reduce violations. With the introduction of E-challan and almost no use of cash for the payment of traffic violation fines, combined with increased penalties, corruption has started reducing. With a population of 1 Billion people in our country and a police force of less than 200 per lakh persons, it will take time for the officials to curb the number of road accidents. But, the ray of hope lies in following rules, taking safety measures and in not paying a bribe to avoid challan.